For 32-bit and 64-bit iOS7 devices. Now you can have your photos organized as you take them, removing the hassle of having to do it later! Right from Apple's native iPhone camera application (as well as from the lock screen) you can easily create new albums on the fly, and add photos directly to an album just by taking the shot. 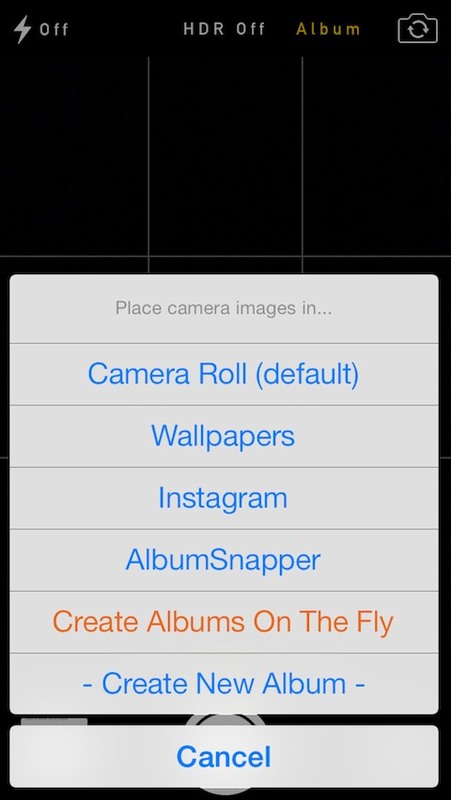 Launch the camera app with AlbumSnapper enabled and you'll notice a new "Albums" button in the top bar. 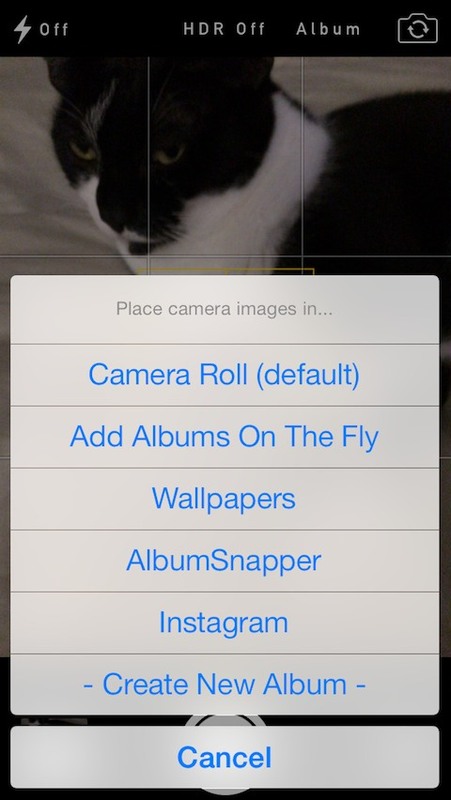 Tap it to see a list of all your albums, easily letting you add photos to any eligible album on your device. 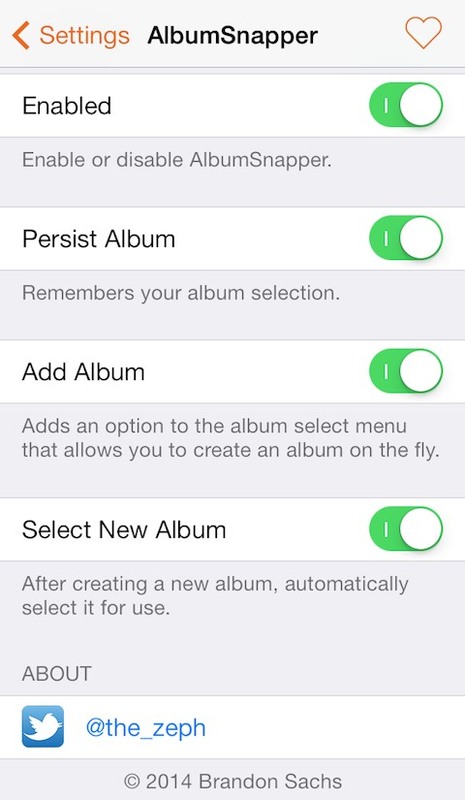 Please note that albums synced from iTunes are not eligible; but that's okay, because with AlbumSnapper you can easily create a new album by tapping the "Create Album" button from the album list. It doesn't matter if you are an avid photographer or simply someone who enjoys capturing that thing, moment, family member, or friend; whatever you're taking pictures of, AlbumSnapper will help you stay organized with the touch of a button.